Business writing, or any communication for other than personal reasons, requires a higher standard of compositional conduct. Whether you are requesting service or complaining about it, or applying for a job or responding to an applicant, correspondents have certain expectations about how you approach them. Keep the following suggestions in mind the next time you craft a letter or an e-mail message. Use the salutation “To Whom It May Concern” — followed by a colon, not a comma — only when all else fails. (“Dear Sir or Madam” is a relic of a bygone era.) If you cannot identify in advance the person to whom you should direct your correspondence (or someone who can direct you or your letter or e-mail message to the proper person), you are either writing to a bureaucracy or a business that does not value its constituents or customers and steadfastly resists your efforts to identify a specific recipient, or you have not made much of an effort to do so. If you are initiating contact with the recipient, refer to him or her, for example, as Mr. Smith or Ms. Jones; if the person’s gender is unclear from his or her name, address the recipient with the salutation “Pat Johnson,” followed by a colon. If you are replying, maintain a formal tone in your salutation if the recipient signed his or her initial correspondence with a full name; if, however, he or she signed off with “Pat,” for example, feel free to use the first name alone in the salutation of your response, and sign your letter or e-mail message informally. Be cautious, however, about being too intimate or personal in communicating with someone you don’t know or know only casually, or of assuming that the other person has certain political, ideological, or religious beliefs, even if the recipient’s affiliation implies sympathy with your own values. Remain professional even on a first-name basis or after one or more face-to-face encounters. State the purpose of the correspondence immediately. If you are thanking someone for a service rendered, say so outright and then go into details. If you are requesting service or clarification, do so at the outset. If you have a complaint or grievance, begin by describing the matter. Use respectful language. If you are angry or frustrated or disappointed, it is appropriate to write just that, but do not attack the recipient or the recipient’s company or organization. Simply detail your grievances and state what you would like the recipient to do to resolve the issue. Be confident and/or firm, but take care that you do not come across as arrogant, condescending, or demanding, and above all, even if you are writing a complaint or protest, be courteous. Effective correspondence recognizes the proper point of view or emphasis. A letter or e-mail message of complaint that starts out “Your store has lousy service” may prompt the same results as “I wish to complain about the poor service I received at your store yesterday,” but it’s rude. Rather than making a blanket and perhaps inaccurate assumption, simply describe your experience and stick to the facts. 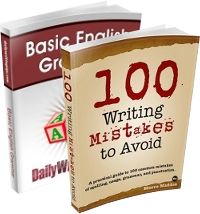 Write in a professional tone, but avoid stiffly formal wording. Use clear, concise language that conveys your message. Spell out acronyms, eschew abbreviations, and favor transparent terms over jargon and standard usage over slang. 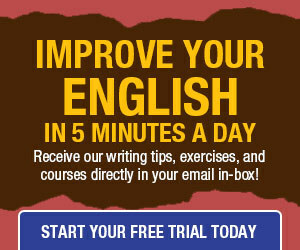 Monitor and minimize sentence and paragraph length. If the recipient becomes fatigued because of overlong sentences and blocky paragraphs (or obtuse language or error-ridden text), you are less likely to achieve the desired outcome. Review your correspondence not only for errors but also for excessive length. A letter or e-mail message that continues for more than a few paragraphs of a few lines each is likely to be a self-defeating message. Respect your recipient by rereading your correspondence several times, looking for opportunities to make your message more concise, omit redundancy, and eliminate superfluous content. In either case, remember to thank the recipient, but be sure that your gratitude is sincere and not overbearing or stinting. “Thanking you in advance,” for example, implies that you can’t be bothered to follow up with a note of gratitude after the recipient has complied with a request. “Thank you” is sufficient. Although annoying, poor grammar and convoluted messages are forgivable in my book – but – whether you’re the CEO or receptionist, crisp, professional, and a respectful tone goes a long way! I’ve always had trouble writing the subject line. This is a useful article. Thanks.